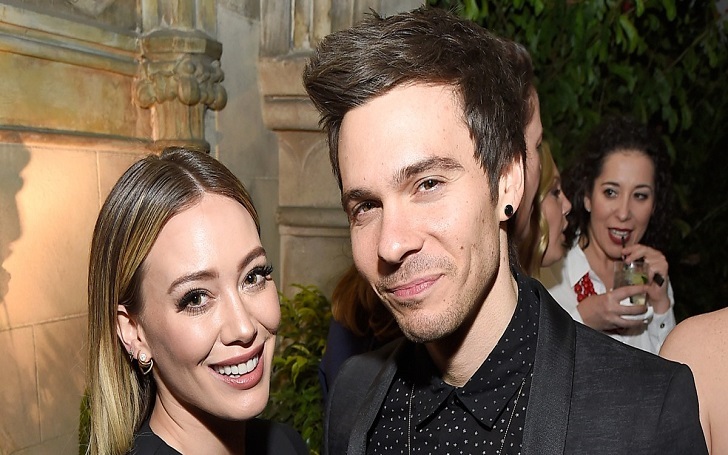 Congratulations are in order for Hilary Duff! The Material Girls actress is pregnant with baby no. 2 and she is expecting first child together with her boyfriend Matthew Koma. The 30-year-old former Disney Channel star took to Instagram on Friday, June 8 to announce her pregnancy. The post features a sweet photo of the 31-year-old music producer giving her a kiss on the cheek as she shows off her growing baby bump. Hilary can be seen wearing a formfitting maxi dress in the photo. Just four days earlier, the reality star sported a loose-fitting black dress to the Younger season 5 premiere in New York City. This will be the first bundle of joy for Matthew while for Hilary, it will be second. She already has son Luca, 6, with her ex-husband Mike Comrie. The former couple was married from 2010 to 2016. Hilary and Matt are dating since January 2017, two years after they collaborated on several songs for her album Breathe In. Breathe Out. The duo made their red carpet debut as a couple on January 28 at a pre-SAG Awards party in Los Angeles. The pregnancy news comes just three days after Hilary’s sister, Haylie Duff, gave birth to a daughter and named the newborn Lulu.